Social media is one of the most explosive ways of sharing information on the Internet. With only a few clicks, statistics, information, data, and facts are instantly made available to anyone with an Internet connection, making the majority of information about your organization sent and received over the Internet. 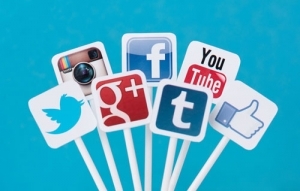 Sterling & Pope can meet all of your social media needs! We understand there are many business-marketing benefits contained within social media platforms. When done correctly, it is a great tool for all businesses, allowing for websites to start gaining visibility immediately. These advantages are available to you at a fraction of the cost of traditional advertising! If used effectively, you can target specific users, optimize your website to significantly increase your online followers. Sterling & Pope takes pride in knowing you will succeed. Using social media as a marketing tool, your company will deliver the message most important for your business in videos, images, and text presentations. Become a leader in your field! We’ll help you spread your business word through articles, press releases, videos, and photos to thousands of websites your potential prospects and established clients visit daily. Over time, prospects become familiar and comfortable with your brand, which in turn, builds trust and increases what you care about the most- online leads! Call us at Sterling & Pope for your social media marketing solution today!